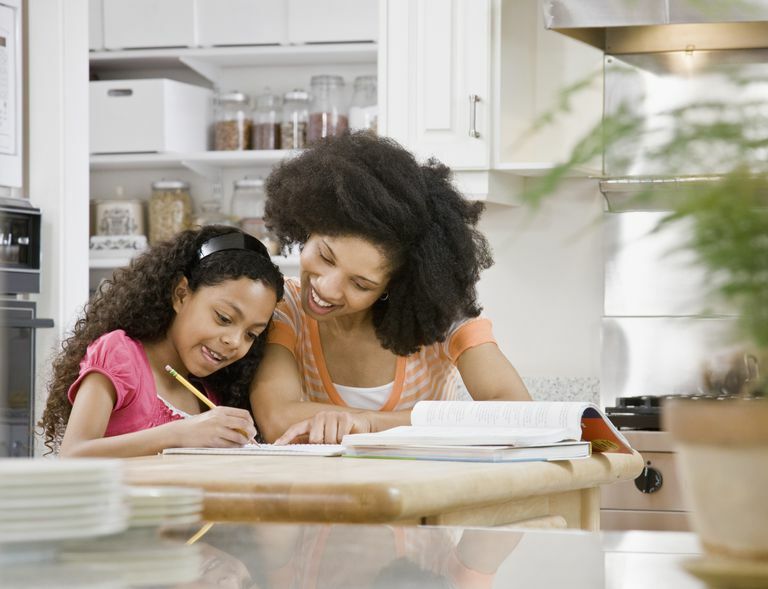 It's common for young children to need a bit of help with reading, writing, and math. The early grades are seeing increasing pressure from standardized tests and homework and more emphasis on academics. This is the reason why many parents and education experts are calling kindergarten "the new first grade." By age 6, many children can do basic addition and subtraction of numbers in their heads with answers up to 10. They can answer some simple math word problems and they understand the concept of halves, thirds, and quarters. However, these skills develop through ages 6 and 7 and your child may grasp them at different points during first grade. Is the teacher going too fast for your child? Does your child feel anxious about tests? Is he having trouble with one basic concept, such as subtraction or fractions, that's affecting all the math he's learning? Or could it be something completely unrelated, like a change in vision that's affecting his ability to see the board clearly? Schedule a meeting with your child's teacher at a convenient time. It's likely that she'll have a good sense of what might be going on with your child and may have some suggestions on how to help. Play online math games. There are many great sites that feature computer math games for every grade and interest. Challenge him to games that use a timer to see how many math problems—such as simple addition problems—a child can do in a set number of minutes. Offer a prize at the end, like getting to choose the family games for your next family game night. Play math games in the kitchen. Talk about concepts like doubling ingredients in a recipe or cutting a recipe in half. Talk about concepts like which is more, 1/2 of a cup or 1/4 of a cup. Play math games in the car. Whether you're taking a long trip or simply driving to school or soccer, you can play with numbers in the car. Since first-graders need to learn their numbers, you can play spot the number and have your child keep track of how many numbers she can see out the window on street signs, storefronts, houses, and more. Math games at the grocery store. Have your first-grader look at prices and see which ones are higher. Older kids will be able to calculate the actual value by looking at the price per weight of an item, but younger kids can stick to this simpler comparison. Ask him to add certain items, such as apples and oranges, to see how many pieces of fruit you are buying. As with so many things in life, practicing math will improve his skills. Reassure him that he will get better at math with practice. Tell him not to get discouraged since the only way to improve is by making mistakes or by not getting something right the first time. This is an unfortunate myth that often affects women and girls, but some boys may get that message, too. Having such an idea in their minds can lead to math anxiety and a dislike of math. The fact is, with practice, anyone can improve their math skills. Try not to say things like, "I'm not good at math" or, "I hate math." Play math games with your child and really make an effort to have fun. If none of these efforts seem to be making a difference, you may want to talk to your child's teacher or pediatrician about consulting a learning specialist or hiring a tutor who specializes in building kids' confidence about math.